k0ga of AAMSX/TNI announced the MSX2 remake of Gauntlet is ready for release. The first MSX version of the Atari classic Gauntlet was released in 1986 by Gremlin Graphics. Gauntlet for MSX2 will be released on MSX2 cartridge during the December 2012 MSXRU user meeting in Barcelona. AAMSX have yet to announce an exact date for this meeting. Looks nice indeed! I hope the cartridge will be available also outside the user meeting in Barcelona, because I (at least) will be buying one. Looks like the new meeting will be in December 15, 2012. I really recommend you to write to k0ga, because I've read that most of time the handful of cartridges they prepare for the meeting get sold out in the first hours. So awesome! How the official port should have been! Maybe because it couldn't be bought anywhere? I live in the UK and am way too far away to ever get to an MSX meeting. Come on, release this for download!! I don't think that it will happen, a part of the Dutch/Spanish scene is actually preparing the second death of the MSX standard by deliberately ignoring the biggest part of the end-users, those who dare to use emulators. Could this game still be bought somewhere? Is there going to be a second patch of cartridges? Is this a Cartridge release? Would love to buy one if it's published. Yes, it is, but it was only for sale on some meeting in Spain, so therefore I'm hoping that it would be also available to wider public. I'm sure there would be interest as this great game has been released only on cassette back in the days. Not even the MSX scene, but also the Coleco scene is 'infected' by this virus of the 'only cartridge release', frustating all emulator's users. There are even some cartridges only in very limited availability (3 items for example) to make hard speculation on eBay ! It's possible to play cartrige games with an emulator and a game reader, am I wrong? Still, like Imanok said, developers are free to publish their games just the way they want. Heck, I might make the most brilliant MSX game ever (well, that's not a realistic scenario) and keep it all to myself. Or just share it with my closest MSX friends. Or release it only on the most obscure media thinkable. Now this may not be a very wise thing to do, but it is my right as a developer to do so. IMHO we should encourage and persuade developers to share their creations, but starting about "a virus of only cartridge releases", "frustrating emulator's users" or by just brute-forcing a non-cartridge release (Kralizec anyone?) is counterproductive and not the way to go. We must also be honest to ourselves. Suppose MSX.org offers a digital downloads platform where developers can sell their creations. Will you and others actually buy it? Or is this whole thing not about 'frustrating emulators', but about 'getting the software for free'? I don't understand why you try to persuade someone (who?) 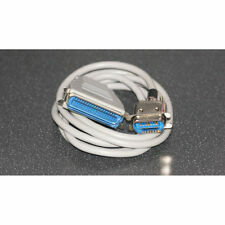 to believe that there is something special or designed to avoid the cartridges to work in a game reader. That is only true in your mind. I'm afraid some French users are actually preparing the second death of the MSX standard by deliberately hacking games and hardware just to play games for free. Did you buy Goonies when you cracked it? I'm pretty sure that many fans should buy the games, if they were available in digital form (for a lower price than the 'classical' cartridge). An example : I have bought all digital Slotman's games (Transylvania III, Carmen Sandiego, Breakfree, MineSX, Atomix, Blinky Scary School, Profanation MSX2), but I'll never buy his 'only cartridge releases' (Jungle Hunt, Montezuma's Revenge, Box Boy, Dr Hello, Popeye English Game, Roc'n Rope - btw, some of them are freely available : Muffie or GDX conversions). Another example : When I had Windows XP, I've bought 4 cartridges from the MSX Cartridge Shop, thinking that it was a good idea to support the coders by buying the cartridges, thinking also that I could easily play them with the Game Reader on blueMSX. But big deception : no any way to make detect the games by the Game Reader. 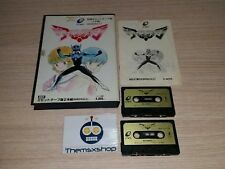 Since that, I've decided to never buy again a new MSX cartridge, since I don't have any guarantee to be able to play the games on a emulator. It's of course worse with Vista, 7 or 8, as the drivers are not updated ! Looks to me like you're blaming the shortcomings of the gamereader/blueMSX on the developers of cartridge-based games. It's the emulator that should handle cartridges correctly and not the other way around. Read correctly, Snout : the Game Reader does not detect the cartridge, so blueMSX and MSXPlayer can't play the game (I had tried with both emulators). Even Sunrise had confirmed several times that some new games can't be played with the Game Reader. MSX cartridges are designed to be used on MSX machines. Is that easy. If MSX Reader can't dump them, it is a problem of the MSX Reader, not the cartridge. Don't expect they will work on a SNES or MegaDrive either. So your point is that all emulators users (let's say Wii, PS2, etc...) are allowed to download for free and hack games since they can't buy digital version of the games? Many SG-1000 and Coleco old games can be found on the net; if someone has the skills to adapt them for MSX, he can do it and make the games available for free download, as Muffie and GDX have made for some conversions. Situation is different for real new games. Ignoring them when they are only available on cartridge is the best option, at least for emulator's users. Apparently, the coders want to lose money (I speak about money they should get from digital products). Perhaps the developers trust emulator developers to improve their software and offer better implementations/alternatives to the game reader. perhaps, perhaps not. But that's not the issue at all: the Game Reader is not 100% MSX compatible. IIRC it doesn't support the 12V pin. You can't circumvent that via software. On the discussion of cart-only releases. Do what you want, it's their right. I'm glad that some developers release a free version after a few years, for example Deep Dungeon Adventure. @hap which is why I also suggested alternatives to the game reader. Glad you agree it's up to the developers. Ideally, a game would indeed be released for free or as paid ROM/DSK. But it is not up to emulator developers to complain that developers release MSX compatible software that their emulators can not yet support. Instead of forcing developers to release their software in ways they are not willing to (and being able to release your software on a physical cartridge is something we only dreamed of in the past) there has to be a way for emulator developers to enable people to play their brand new, community produced, legal, cool and awesome releases even if they are only available on cartridge. In that light, the Game Reader is/was a great idea, but merely a starting point. Snout, you are confusing two different things as most dumps (made by classical method without the game reader) of 'only cartridges releases' will work without any problem in advanced emulators such as blueMSX or openMSX. Of course, in this case, only buyers who have the real cartridge and know how to make the dump will enjoy the game also in an emulator. Problem comes when a dump does not work on emulators for some (good or bad) reason. From my past experience, I've come to the conclusion that's an endless challenge : every time a new mapper will be implemented to support a new 'only cartridge release', the coders will imagine another mapper for next release. It does not have any sense and that's why I'll wait for the (free or paid) digital release with an already supported mapper; in some cases, I guess I'll never play the game, but that will probably make the pleasure of some sadistic coders. Is Konami SCC an obscure and secret mapper? That is the mapper of Manbow 2 and Goonies. Manbow 2 was able to save data in the cartridge itself, but that was not supported by emulators. It was easier and cheaper to save into the flashROM memory. Perhaps you wanted SRAM + battery compatible with FM PAC or Game Master, that was already implemented in emulators? In that way you can play the pirated game easily, and real users would pay the extra hardware. Also, I don't get your point. Emulators only have to emulate official/old hardware? So it is right to emulate MSX-AUDIO, MSX MUSIC, SCC, SCC-I, PSG, MoonSound but not a second PSG or flashROM memory? Some sadistics emulator coders prefer to hack a game rather than implement its hardware in the emulator. Please, give to software and hardware developers some guidelines of what they can and can't do when making new products so emulator users don't get disapointed. - Street Fighter II or Super Mario World, don't user ROMs bigger than 2MB when using a 8K mapper. - Or, Project Melancholia, don't dare to save into flashROM memory the game data. Concerning Manbow 2, you are wrongly informed, at least for blueMSX : a few months before the first release, Sunrise had contacted the blueMSX team and we had even a rom to implement fully and correctly the new mapper with saving on Flash ram. The implementation has been made before the Manbow 2 release and the new mapper was already in blueMSX version released before the Manbow 2 release, but we kept it secret for obvious reasons (however, the code was available on Sourceforge). We were so satisfied with the collaboration with Sunrise that dvik and myself have ordered the cartridge just after its release. Probably you are wrongly informed. Do you know the source of the info you got? Also, OpenMSX team just contacted me to get all the info about MegaFlashROM SCC+ cartridges. I just helped in all I could. I guess other emulator developers have another approach when it comes to contacting coders/publishers teams. Very simple : we had at this time contacts by mail with Sunrise. For your info, the recent betas of blueMSX have support for second PSG and MegaFlashRom SCC+ (based on openMSX source). Anyway, nice to hear you try to implement hardware instead of hacking software. Excellent game! But, i waiting for a PAID file version, cartridge, sux a lot!